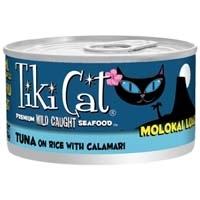 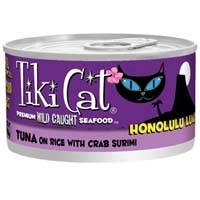 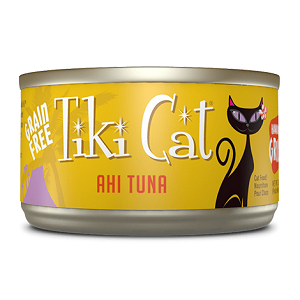 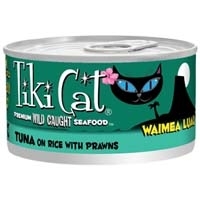 Tiki Cat Gourmet Whole Food Brand Cat Food Honolulu Luau is shredded Ahi Tuna served on brown rice topped with Crab surimi prepared in Tuna consommé for a low grain, gravy free, one percent low carb meal. 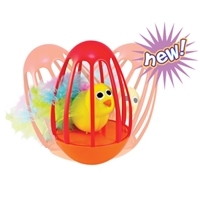 Birdie inside cage chirps and tweets to stimulate cat's natural hunt instincts. 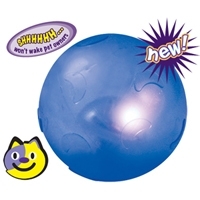 The sound is motion-activated by cats batting. 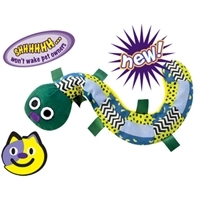 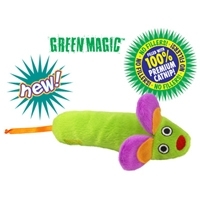 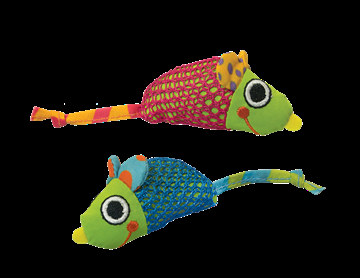 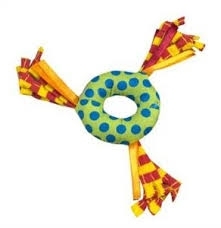 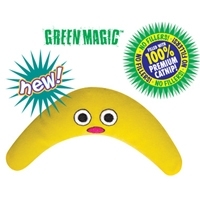 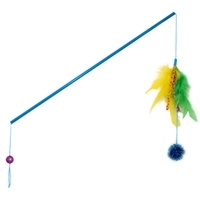 Toy has great wobble action that spins as kitty bats and chases. 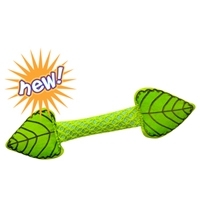 There is an On/Off switch to quiet bird if desired! 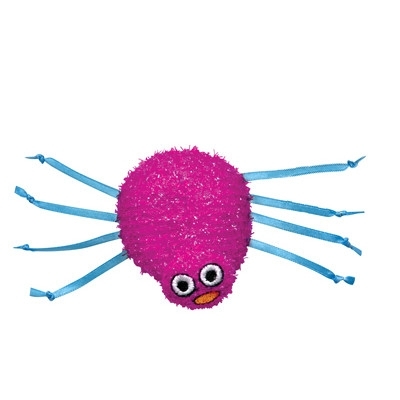 Toy is approximately 4.5" tall. 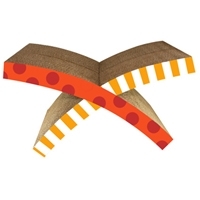 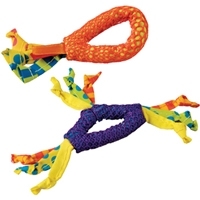 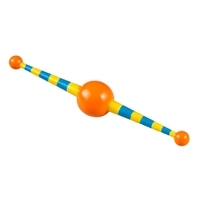 Lightweight and Lively interactive wand for together play. 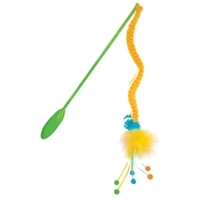 1) Combination of soft, bouncy and feathery materials for instant kitty appeal 2) Lightweight yet durable componenets for safe play 3) Solid wand and grip make it easy and comfortable for owner to hold. 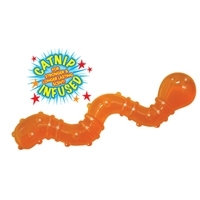 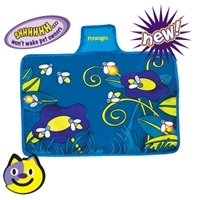 A new ORKA line for cats with catnip bag inserts for hours of play 1) Refill with catnip bag inserts to gain cat's attention and provide continuous freshness 2) Made from durable yet lightweight ORKA material to withstand non-stop play action 3) Catnip scent will encourage non-destructive chewing and textured surfaces can help clean away tartar build-up, massage gums and exercise jaw muscles 4) Cats can play, bat and carry the unique mouse shape 5) Can be stufffed with trats, too! 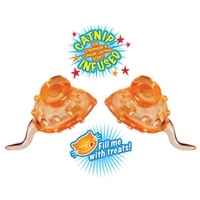 5) Sold as a pair with 2 inserts, 4 additional inserts also porvided.